Fillers, Botox, , microbotox, which to do and when to do it? These are the questions on everyone’s mind this festive season. To do or not to do, that is the question. Brow lifting, to enhance a refreshed, brighter look. Ageing leads to low-set brows which often makes one look dull and tired. What is the perfect Asian face? Dating back to BC, ancient Greeks believed beauty was represented by a Golden Ratio of 1:1.618.The golden ratio is a beauty calculation validated by researchers for the assessment of beauty. Applying it to Asian faces, we notice that Asians fall short of it. This can be easily augmented by chin fillers. Using hyaluronic acid filler injections, you can reshape your chin, therefore improving both your side and frontal profile. 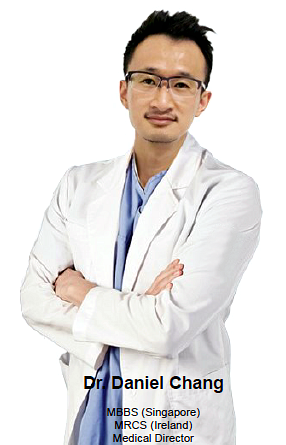 What are common filler procedures for Asians? Above is a picture of Korean star Han Ga Na, who has a very defined, long and slender nose. Asians tend to have a short rounded nose with a flattened nose bridge. Nose fillers, to build the nose bridge to give your nose length and height, tip projection and a narrower, more shapely profile. There are specific angles and measurements that are universally accepted as beauty ratios. Our chins tend to be shorter and less projected. Chin fillers to add length and projection to enhance the Korean V look. The perfect chin has a ratio of 2:1. With ageing, our cheeks lose volume. Cheek fillers to add volume to give you the class Apple Cheeks. Apple cheeks are a sign of youth and vitality. Ageing also leads to loss of volume in the temples, lips, formation of marionette lines and a downturning of the corners of the mouth. All these can be treated with fillers. Below is a photo of a person with well shaped brows, apple cheeks, V shaped jaw and a well defined, well projected nose. Hyaluronic acid filler is a protein similar to what is found in our skin, eyes and joints. It is safe for facial contouring, and reversible, either through injecting an enzyme and is also naturally broken down by the body over months. Side effects may include some dull aching and slight bruising under the chin for a few days. Swelling is minimal and the result is obvious immediately. Why is it important to seek treatment in Singapore? Doctors and staff are here to follow you up and journey with you to achieve your aesthetic goals. It is never easy, but the path to clear and radiant skin begins with you today. So be bold and beautiful, and keep moving forward!